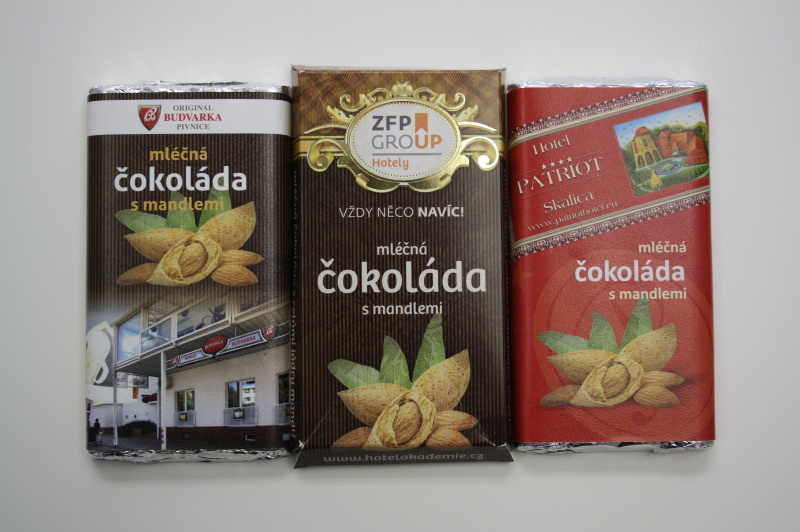 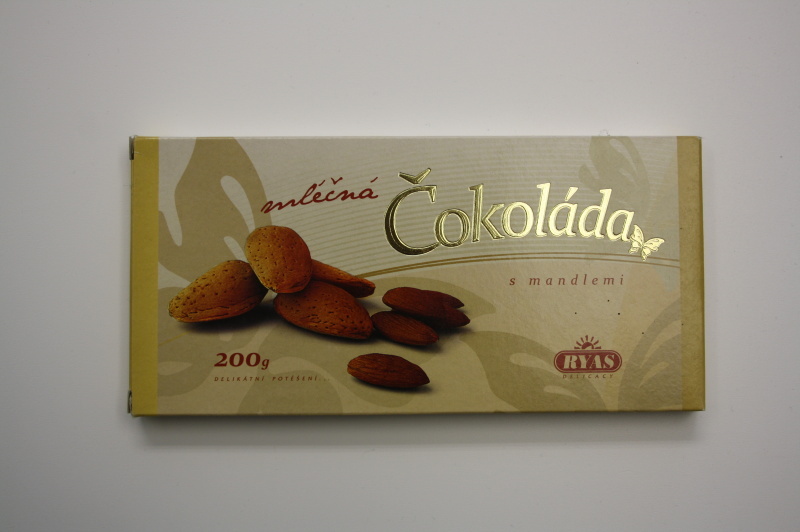 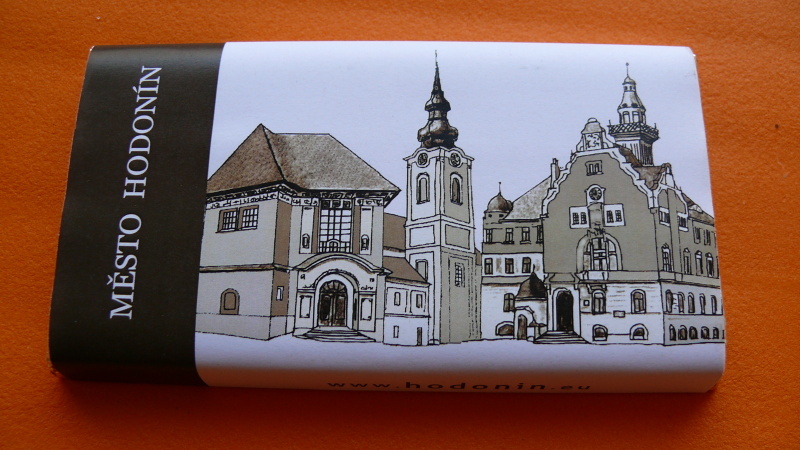 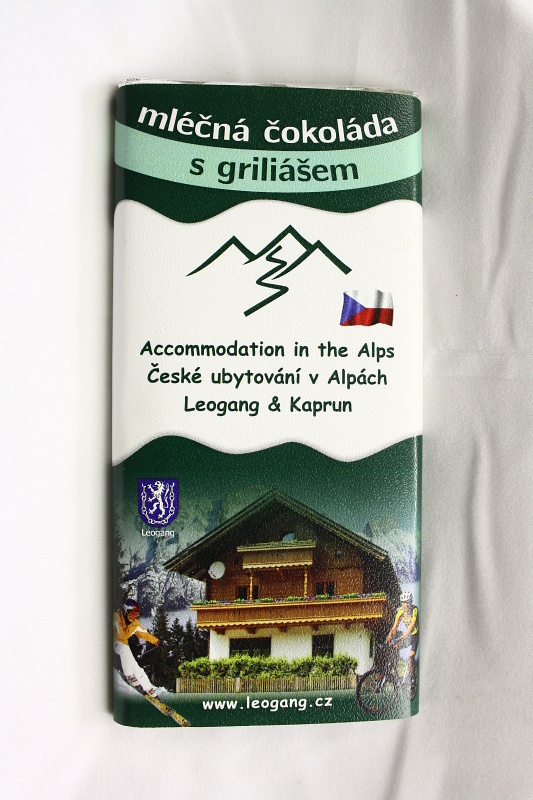 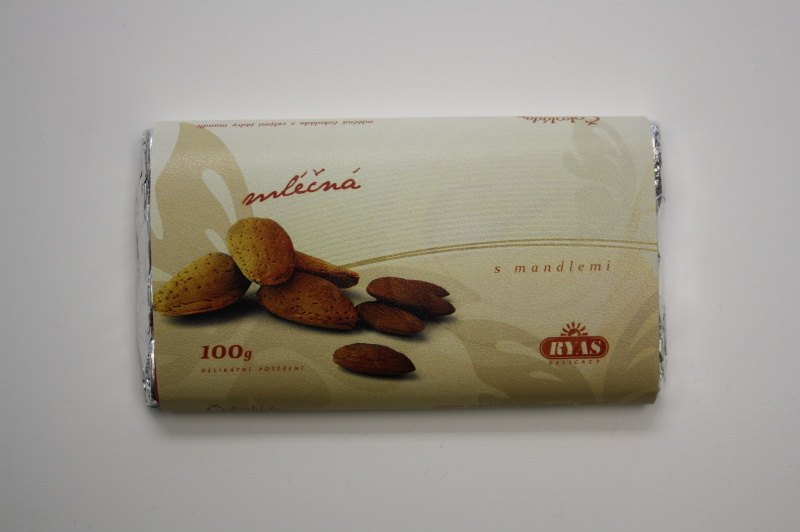 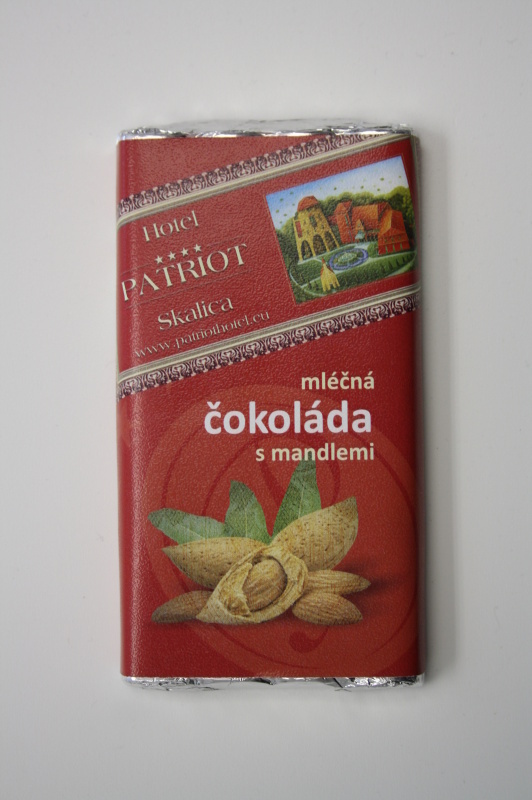 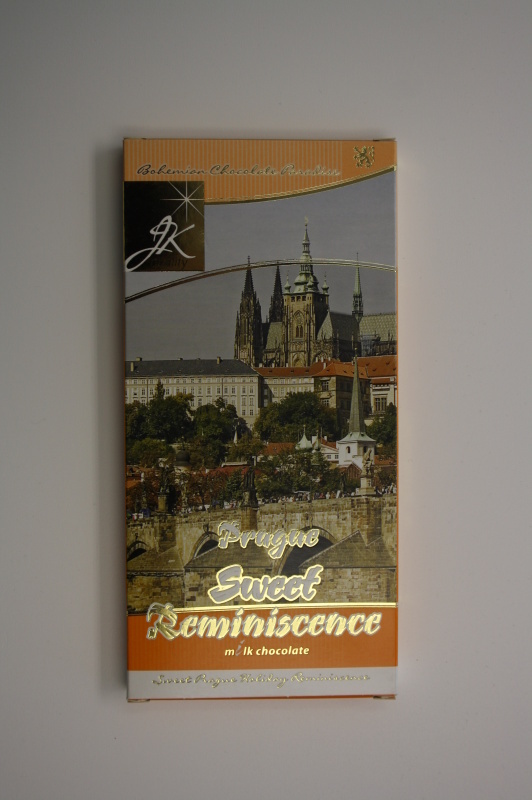 The great taste of milk chocolate or dark chocolate with extra pieces of almonds or hazelnuts. 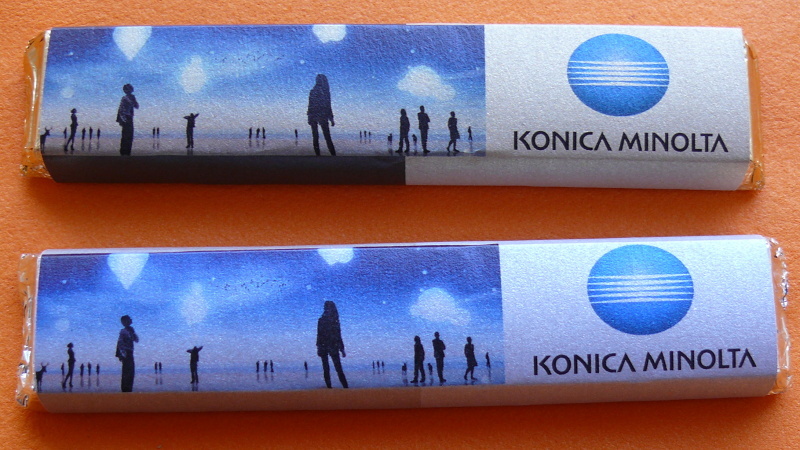 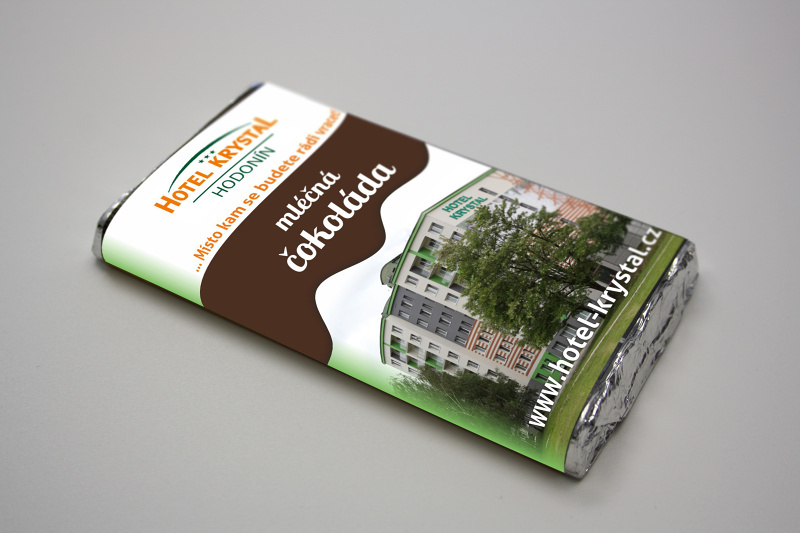 All professionally wrapped in an advertising package according to your requirements. 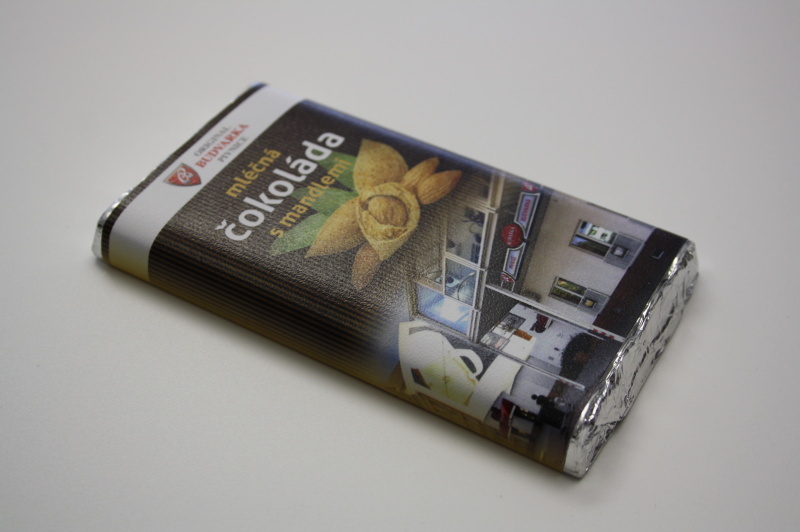 We offer you a sweet gift, your own chocolate, with your own corporate identity, logos or pictures printed on the cover or gift box. 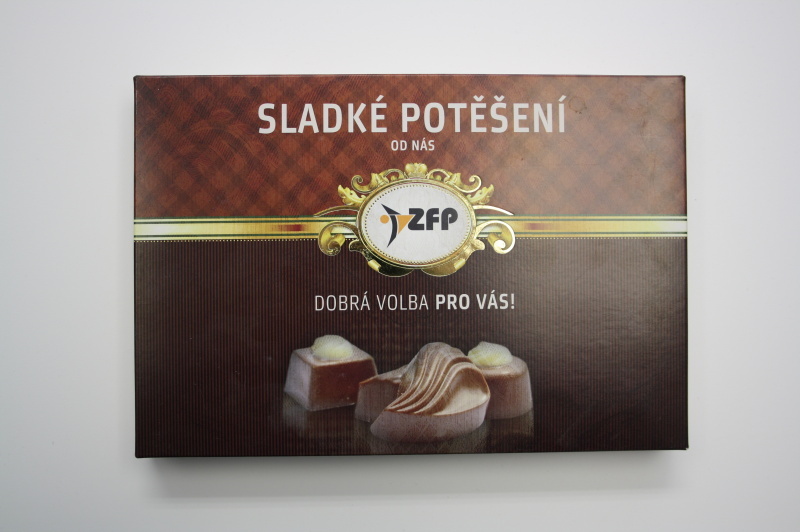 We recommend to order chocolates in gift boxes, for economy reasons, from 400 pieces. 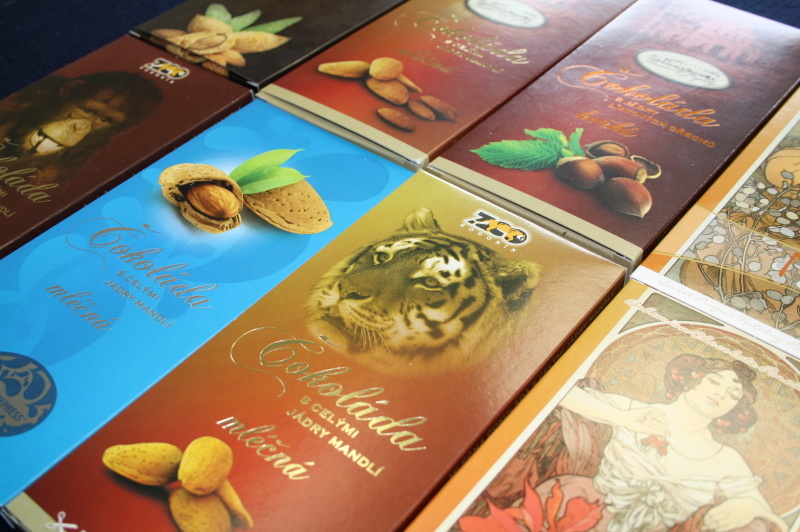 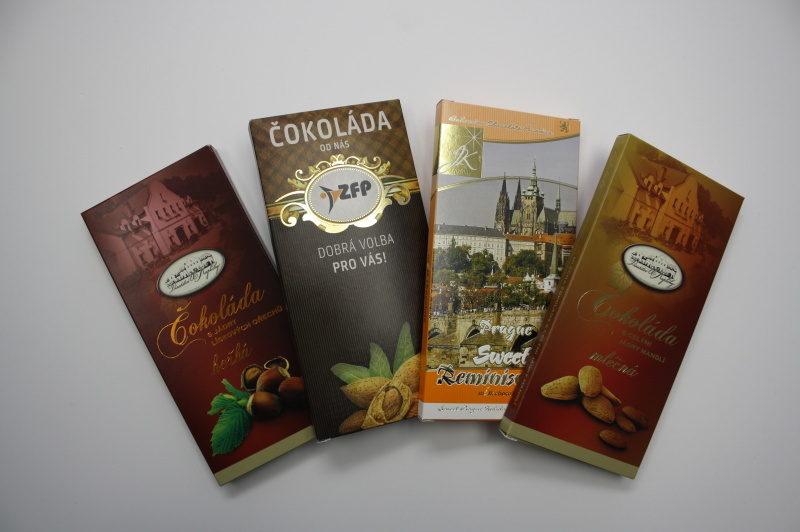 We can offer you top quality milk chocolate with whole almond kernels or 70% dark chocolate with hazelnut kernels. 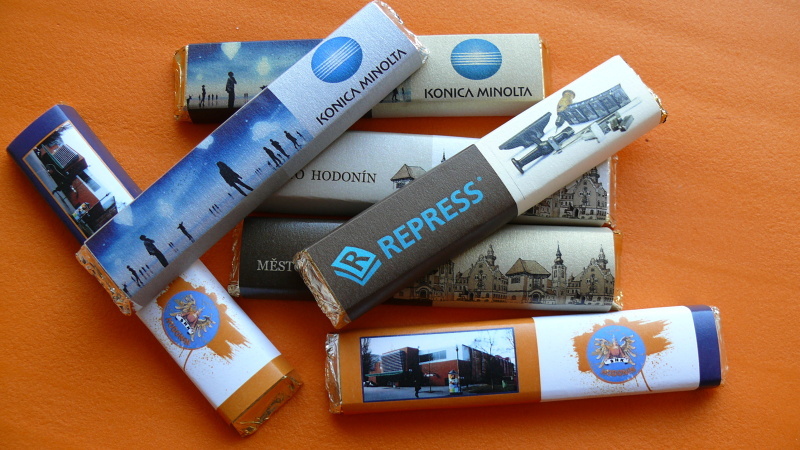 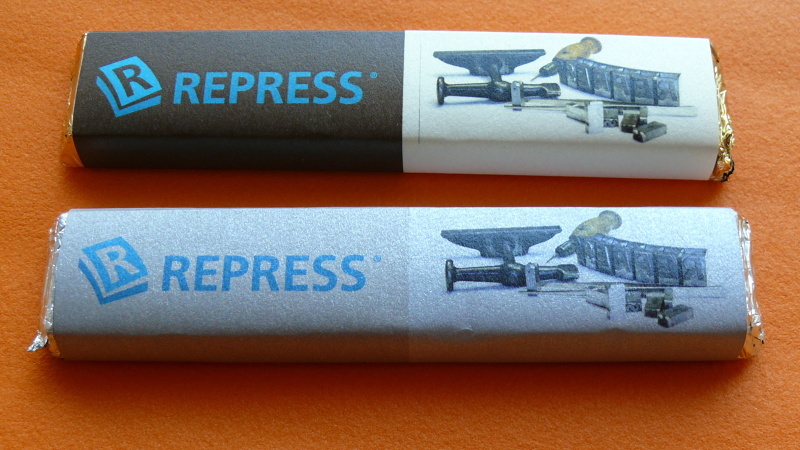 Feel free to contact us, REPRESS Hodonin, or our COLOR COPY branch. 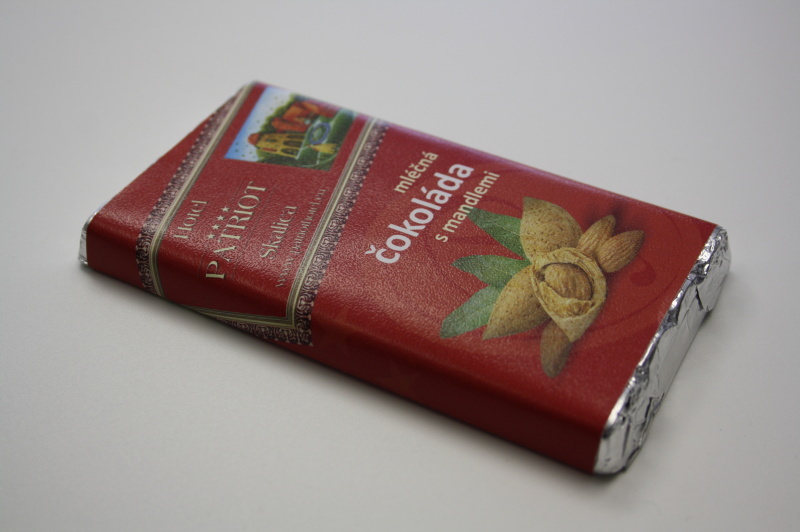 Download our brochure about gift chocolate! 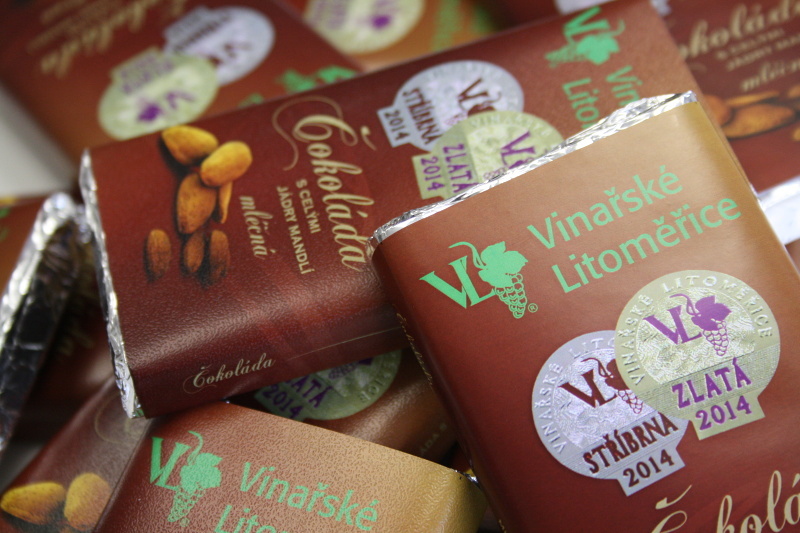 Download pricelist of our gift chocolate! 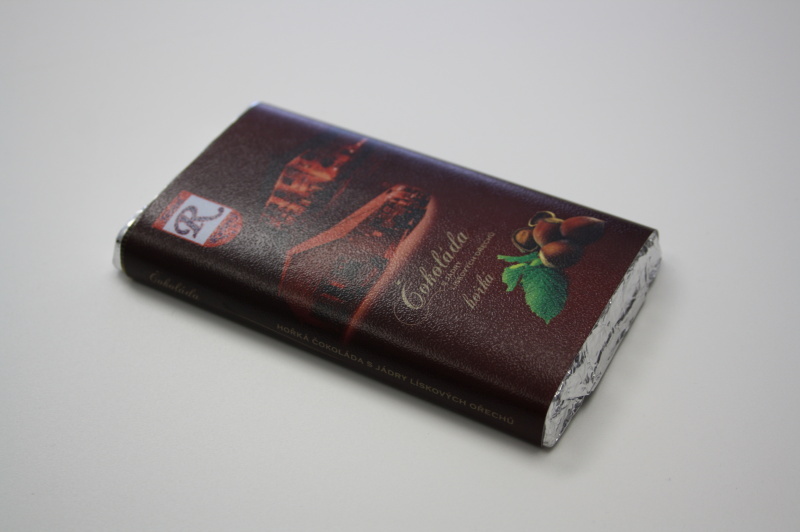 The most demanded package of chocolate is 100 g and 170 g. We also do small 22 g chocolate bars and luxury chocolates kits of 3x60 g in gift plastic tape - all in a private packaging and labels. 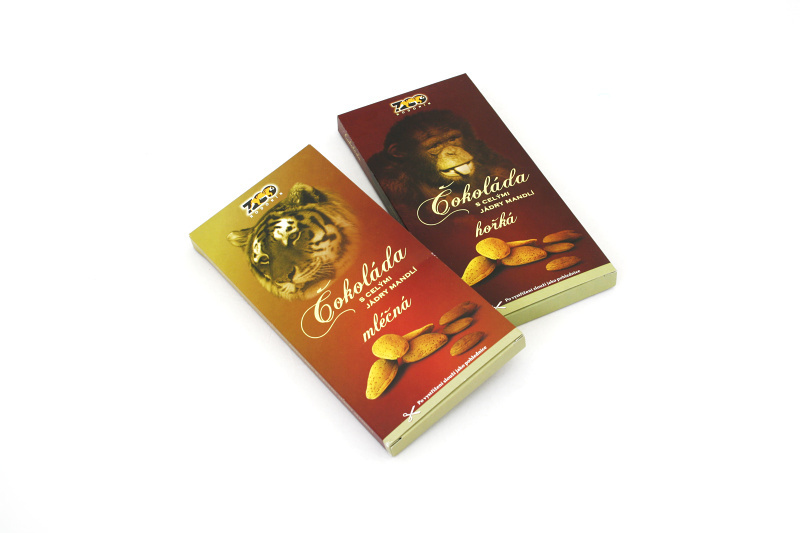 The minimum amount from 100 pieces, delivery time around 14 days after approval of the graphic design of the cover. 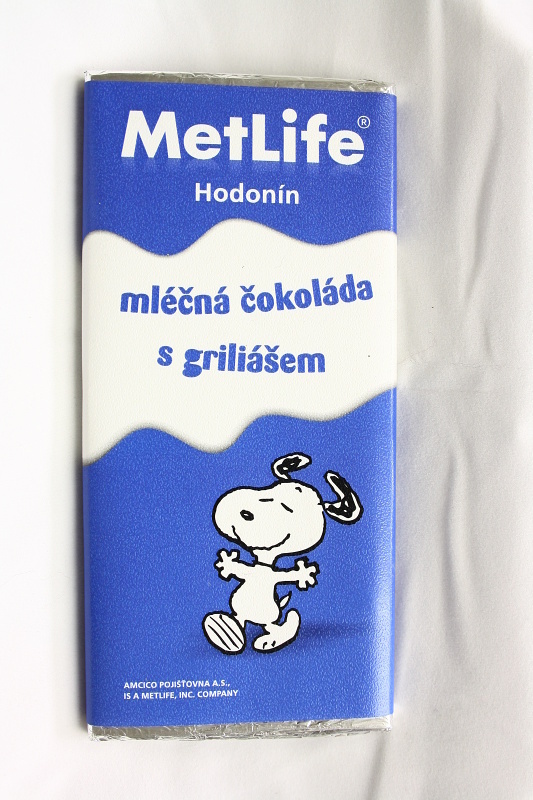 Feel free to try it now ..